These chalet-style apartments are situated in the Reberty area of Les Menuires. 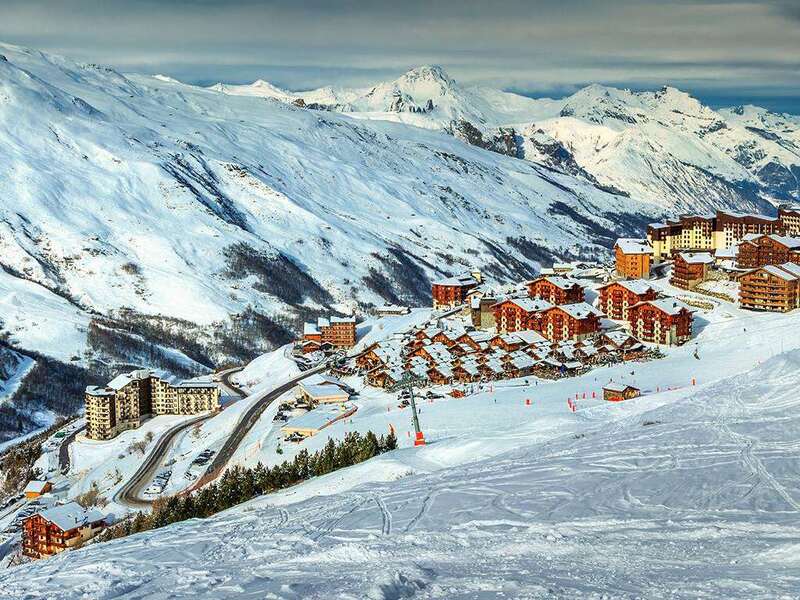 Offering lovely views of the Vallée de Belleville, there is a small selection of bars and shops, while the resort centre is a little further away and the bus stop to the nearby lifts is close by. This is a Premier property, offering you the ultimate in luxurious winter relaxation. All apartments have kitchenette with hot plates, fridge, oven, toaster, electric coffee machine and dishwasher, TV, WiFi (extra charge) bathroom and WC and balcony. Bed linen, beds made on arrival, towels, end of stay cleaning and local taxes included. Type E2 apartments - sleep 2-6: living area with sofa bed and pull-out bed. Twin bedroom. Double bedroom. Additional shower room. Type E apartments - sleep 2-6: as Type E2 but larger. Please Note: A refundable deposit of €500 is payable upon arrival (credit cards accepted).